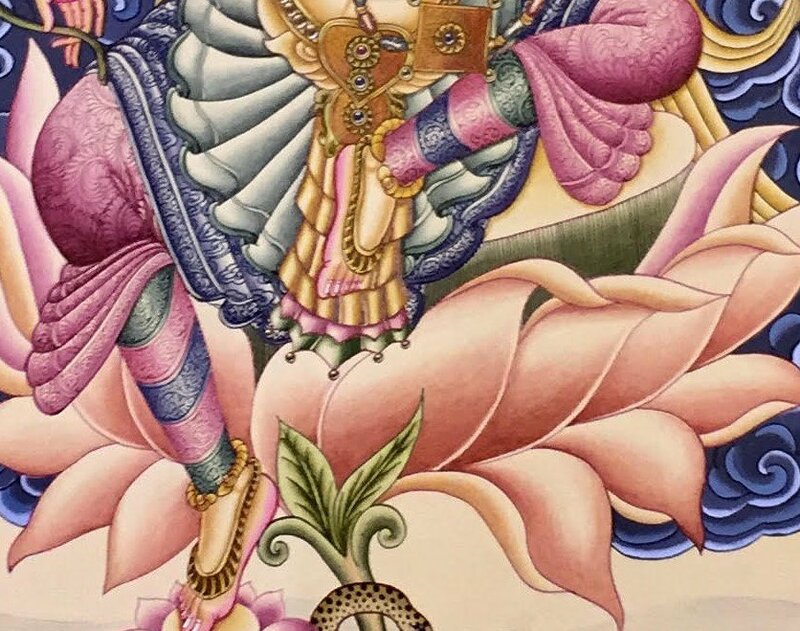 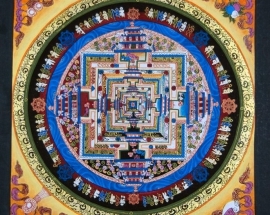 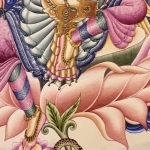 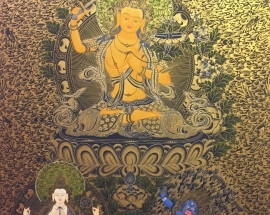 White Tara Paubha is handpainted in Nepal. 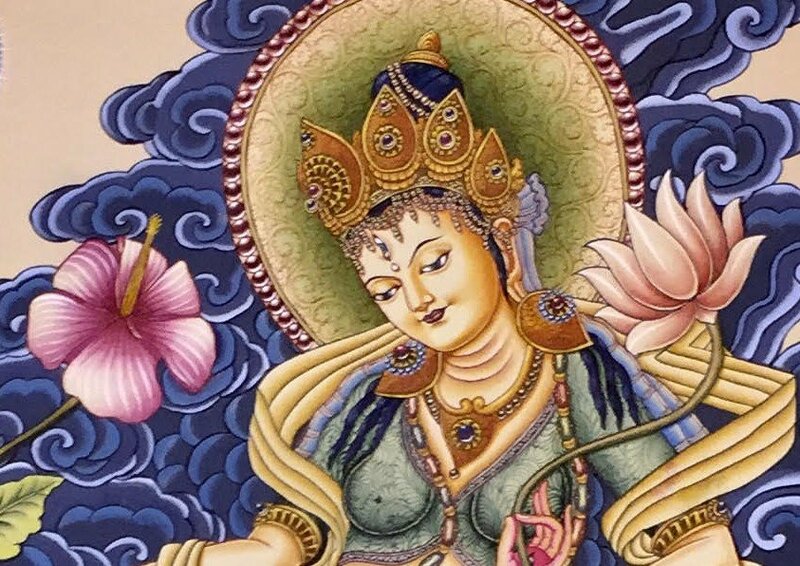 White Tara is also known as the mother of compassion, long life, healing, and serenity; also known as The Wish-fulfilling Wheel, or Cintachakra. 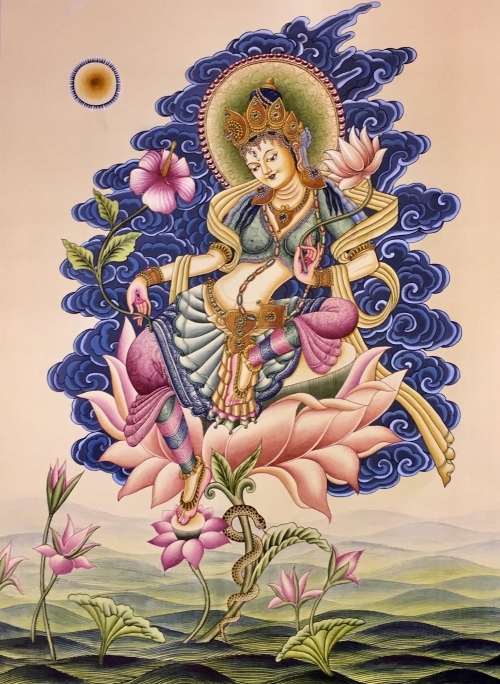 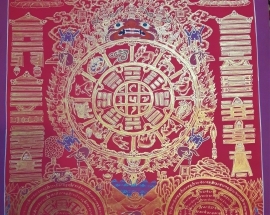 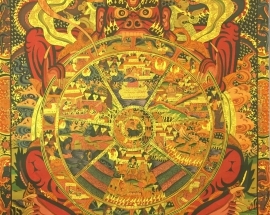 She is pictured as being endowed with seven eyes (at the palms of the hands, soles of the feet, and her forehead) to symbolize the watchfulness of the compassionate mind. She is said to be as white and radiant as the moon. 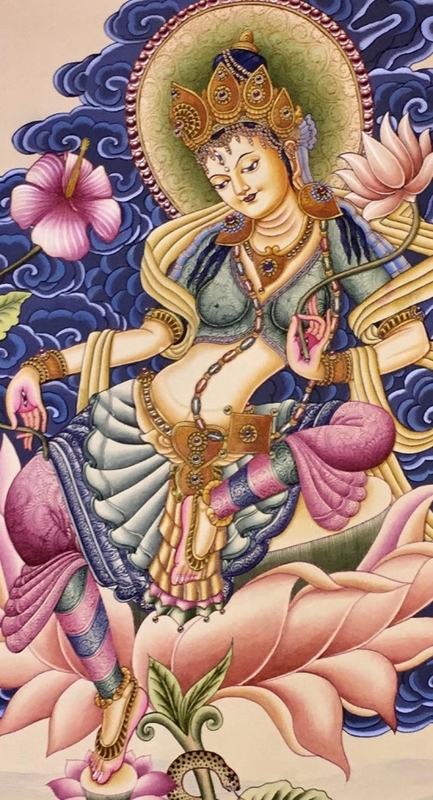 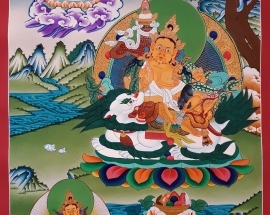 Within Tibetan Buddhism, Tara is regarded as a Bodhisattva of compassion and action. 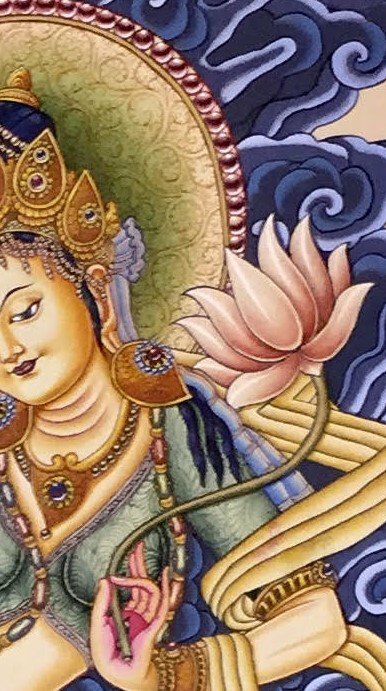 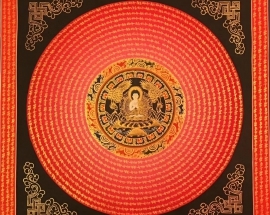 She is the female aspect of Avalokiteshvara (Chenrezig – the Buddha of Compassion) and in some origin stories, she comes from his tears. 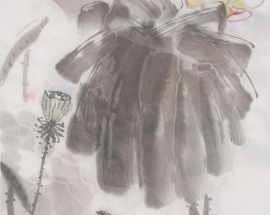 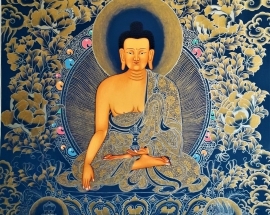 She eventually came to be considered the “Mother of all Buddhas,” which usually refers to the enlightened wisdom of the Buddhas, while simultaneously echoing the ancient concept of the Mother Goddess in India. 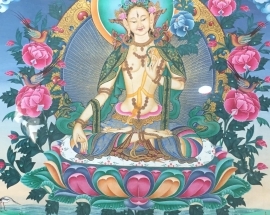 As one of the three deities of long life, White Tara is associated with longevity. White Tara counteracts illness and thereby helps to bring about a long life. 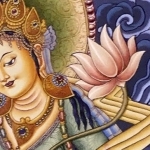 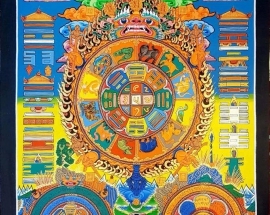 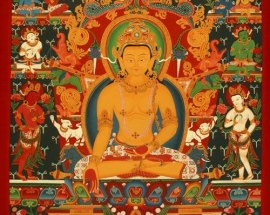 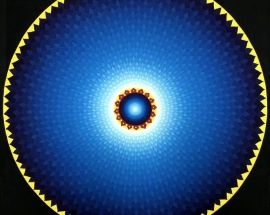 The main Tara mantra is the same for Buddhists and Hindus alike: om tare tuttare ture svaha. 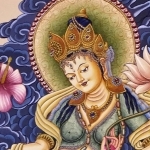 But for the White Tara, several words connected with long life, merit, wisdom, and abundance, are added to the play on the name of Tara. 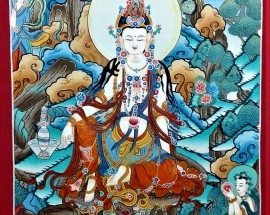 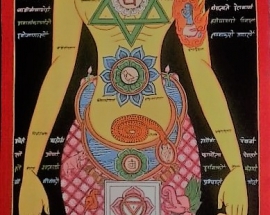 Her particular mantra is, therefore: Om Tare Tuttare Ture Mama Ayuh Punya Jñana Pustim Kuru Svaha.